Authorization to gain access to company data is a requirement of every integration and RingCentral is making this easier and more secure by extending its OAuth 2.0 support to include 3-legged OAuth. 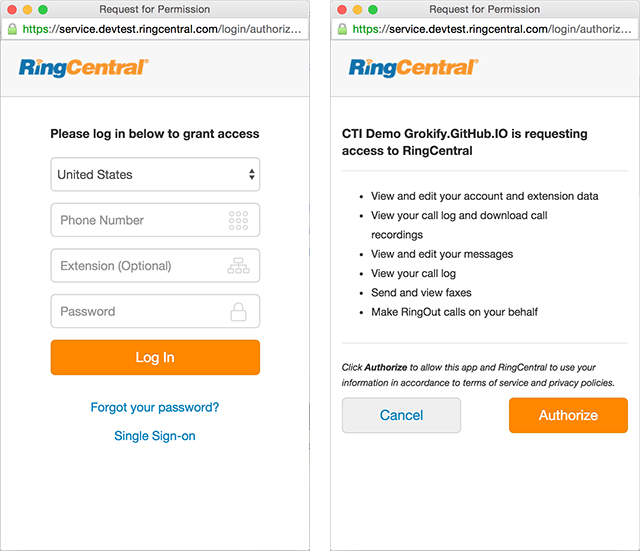 3-legged OAuth enables developers to use RingCentral’s servers for user login and password reset in an industry standard way. This also allows developers to transparently support enterprise customers that use third-party providers for single sign-on (SSO), such as PingFederate, Okta, and others. The benefits of using 3-legged OAuth authorization include providing a consistent RingCentral login to users and additional security that will be appreciated by enterprise customers, while reducing the amount of code that needs to be written to perform integration with RingCentral services.